VANCOUVER, Wash. – On Wednesday, December 10, Clark College will welcome Washington state poet laureate Samuel Green. The event, which is free and open to the public, will be held at noon in the Penguin Student Lounge. Clark College’s main campus is located at 1933 Fort Vancouver Way, Vancouver. Green will speak as part of the college’s Columbia Writers Series. His presentation will include poetry readings and a question and answer session. Books of Green’s poetry are expected to arrive at the Clark College Bookstore on Dec. 5. 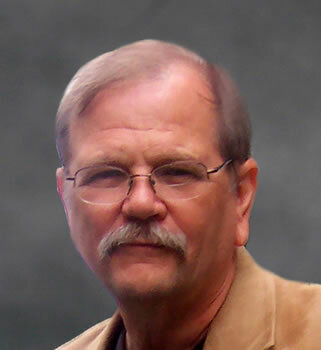 Samuel Green was born in Sedro-Woolley, Washington, in 1948. He was raised in the nearby fishing and mill town of Anacortes where he graduated from high school in 1966. After four years in the military, including service in Vietnam, he attended college under the Veterans Vocational Rehabilitation Program, earning degrees from Highline Community College and Western Washington University (B.A. & M.A.). A 30-year veteran of the Poetry-in-the-Schools program, he has taught in literally hundreds of classrooms. 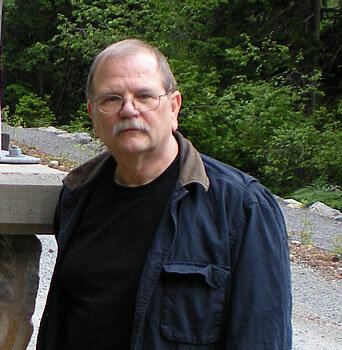 He has also taught at Southern Utah University, Western Wyoming Community College, and served six terms as Distinguished Visiting Northwest Writer at Seattle University, including six summers in Ireland. Green’s poems have appeared in hundreds of journals, including Poetry, Poetry Northwest, Poet & Critic, Poetry East, Southern Poetry Review, Prairie Schooner, and Puerto del Sol. Among his ten collections of poems are Vertebrae: Poems 1972-1996 (Eastern Washington University Press) and The Grace of Necessity (Carnegie-Mellon University Press), which won the 2008 Washington State Book Prize for Poetry. Green says he has “lived for 26 years off the grid on remote Waldron Island off the Washington coast in a log house he built himself.” With his wife, Sally, Green serves as co-editor of the award-winning Brooding Heron Press, which has published fine letterpress editions by Donald Hall, James Laughlin, Denise Levertov, Ted Kooser, Hayden Carruth, Gary Snyder, John Haines, Jane Hirshfield, Pattiann Rogers, and others. Green’s additional honors include the Distinguished Alumnus of the Year award (2008) from Highline Community College, and the Stanley W. Lindberg Editor’s Award, from Pacific Lutheran University (2008). In December 2007, he was named by Gov. Chris Gregoire to a two-year term as the first Poet Laureate for Washington state. The Columbia Writers Series has been a part of Clark College since 1988, bringing local, national and international authors to the college throughout the year. English professor Jim Finley is the third and current director of the program, following colleagues Donald Erskine and Gerard Smith. Writers who have visited Clark College through the series include Ursula Le Guin, Donald Justice, Sherman Alexie, Marvin Bell, William Stafford, Jamaica Kinkaid, Roy Blount Jr., Gerald Stern, Carolyn Forshé, Diane Wakoski, Monica Drake and retired Clark faculty member Larry Weirather. Gov. Chris Gregoire named Samuel Green as Washington state’s first Poet Laureate, a position established by the legislature to build awareness and appreciation of poetry across the state. "I am pleased to name Samuel Green as Washington's first state poet laureate," said Gov. Gregoire. "Not only will he encourage people across our state to learn about and appreciate poetry, his appointment to this position will honor the important role that poetry and poets have played in Washington's creative culture." The culmination of a multi-year effort, the establishment of a state poet laureate was led by Rep. Mary Skinner and Rep. Lynn Kessler and supported by a partnership of the Washington State Arts Commission, Humanities Washington and the Washington Poets Association. The poet laureate bill was passed by the legislature and signed into law by Gov. Gregoire in April 2007. The state poet laureate serves a two-year term and builds awareness and appreciation of poetry through public readings, workshops, lectures and presentations in communities, schools, colleges, universities and other public settings in geographically diverse areas of the state.